When Beauty Becomes Artificial: Applying Cognitive Building Blocks to Beauty Care - Infosys Consulting - One hub. Many perspectives. The beauty industry is a booming business, with the global cosmetics products market expected to reach a value of $806 billion by 2023. The beauty care industry has also been swept up in the digital revolution and we find today an increasing number of leading beauty brands embracing emerging technologies to enhance the consumer’s experience. Personalized digital services are all the rage now with market leaders like Sephora, Estée Lauder and Dior experimenting with artificial intelligence, augmented reality and virtual reality, and incorporating these advanced technologies into their core business models and consumer engagement strategies. And, the dividends are paying off. Sephora, a leading French luxury empire, was one of the first to venture into high-tech consumer offerings and is one of the few businesses that managed to thrive during the retail crisis of 2017. Personalization and customization of beauty-care products to individual body characteristics, personality traits, and usage/intimacy requirements. Transparent, ethical and sustainable beauty from farm to face. This includes demands for products that use natural, herbal and organic ingredients, are free from animal testing and are gentler on the environment with minimized waste reduction. New biological care products based on communities of microorganisms (e.g., bacteria) that live on the human body. Is Beauty Care truly becoming artificial? Coty’s Magic Mirror simulates the appearance of lipstick on a real face based on facial feature recognition and lipstick identification. L’Oreal’s The Kérastase Hair Coach is dubbed the world’s first smart hair brush which incorporates a number of sensors that can detect the quality of hair while it is being brushed and recommends tailored hair care products. Sephora has had an amazing breakthrough with augmented reality and has launched a mobile app which provides virtual makeup tutorials. Function-of-beauty and Prose have launched custom hair care products using ingredients and formulas based on individual hair profiling. Dior has launched an AI beauty assistant platform and application, Dior Insider, which gives consumers an opportunity to ask questions about their products through interactive chatbot software. Skincare company Proven has introduced an AI-based skin assessment program called the Skin Genome Project that uses deep learning to analyze over 20,000 skincare ingredients and determines skin patterns and quality, producing a totally personalized skin care product that is delivered to the consumer’s doorstep. The Skin Genome Project won MIT’s 2018 Artificial Intelligence Award for its breakthrough technology. A common thread in all these revolutionary technologies is the strong consumer focus. However, the typical internal organization of the beauty care industry is still not adapted to the digital age, especially the backend and frontend organization. The Coblox framework with its 33 building blocks that I introduced in my first and second article can be adapted and applied to the internal organization of the beauty care industry. In the framework below, I demonstrate how AI-powered new capabilities can transform the backend and frontend organizational processes of the hair care segment. Process Oriented AI / Information Extraction: scans popular social media sites for any hair care related posts and extracts relevant entries on hairstyles, colors, products and relationships (celebrity X uses product Y, color X not recommended for weather Y etc.) for further analysis. Decision Oriented AI / Recommendations: selects relevant research papers for junior researchers based on their areas of research, experience and colleague feedback. Expert Oriented AI / Diagnosis: determines the root cause(s) for a set of hair care related observations and advises proper remedies. Explorative AI / Semantic Search: finds texts and text sections, which contain information about formulations, ingredients, hair care objectives etc., by exploiting alternative terms and relationships, which were previously extracted and stored inside a knowledge graph. Process Oriented AI / Outbound Communication: sends personalized newsletters to hair salons reflecting the latest hair care trends and their relevance to the various local consumer groups and individual consumers. Decision Oriented AI / Collaborative Decision-Making: matches hairstylists from various non-competing salons with personalization topics and provides a basic moderation capability to enable group agreement building. Expert Oriented AI / Monitoring: tracks the correct application of a haircare product over a longer time period based on measurements and questionnaires. Explorative AI / Simulation: allows role-playing with different hairstyles and colors for different social activities. In my next article, I will explore advanced conversational agents and their capabilities for human-assisted intelligence. Thanks for reading, and I look forward to your thoughts! 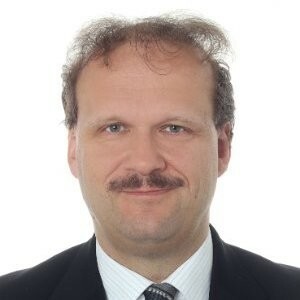 Dr. Harald Gunia is an enterprise architecture and artificial intelligence expert. He has more than 29 years of experience in all major AI technologies, including, machine learning (ML) and robotic process automation (RPA). He was worked in more than 10 industries and has deep expertise in digital capabilities and large-scale business transformations. Harald holds an M.Sc in computer science and a PhD in artificial intelligence.